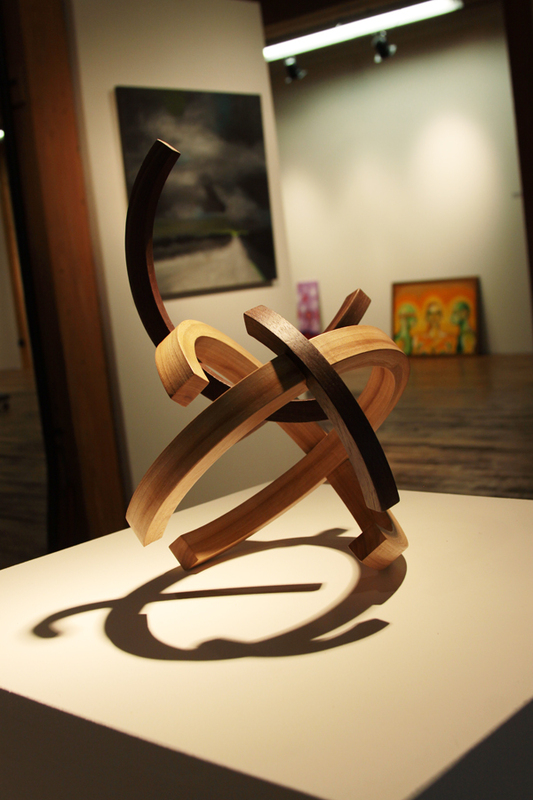 The Balance of Life is a small scale sculpture that I created in 2010. This is the first non-utilitarian piece that I have made in a long time. My exploration was to express the materials stability and uniqueness. 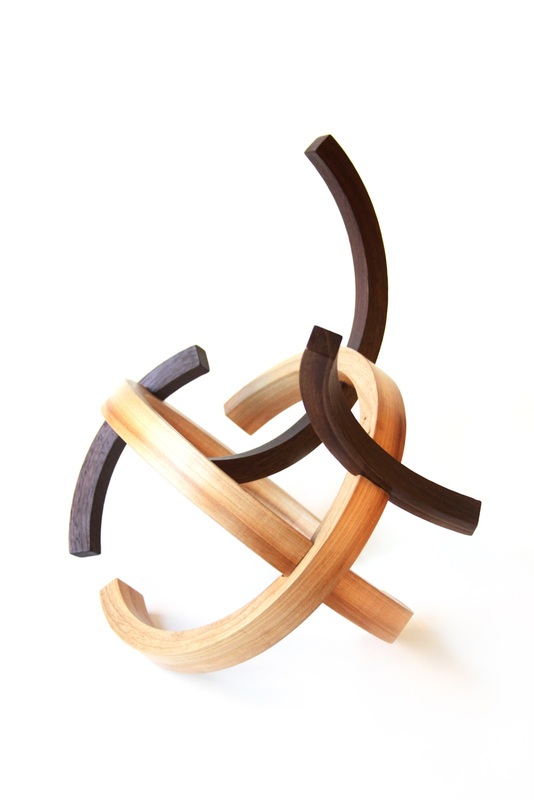 Although traditional lap joints are used to create the form, the placement of the intersections are non-traditional causing tension to the viewer who is familiar with the properties of wood. 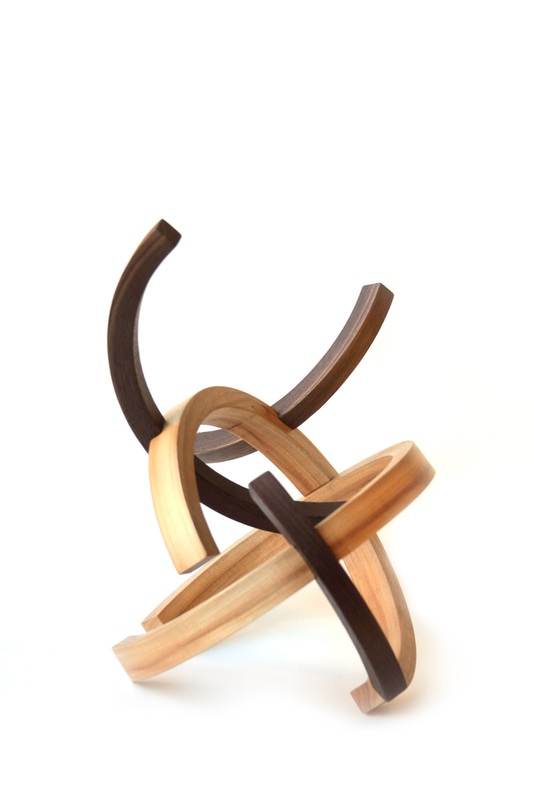 When creating this piece, I had no set plan, the form was built up spontaneously from my desire to magnify the unusual properties of the compressed wood. The form that resulted is fluid. 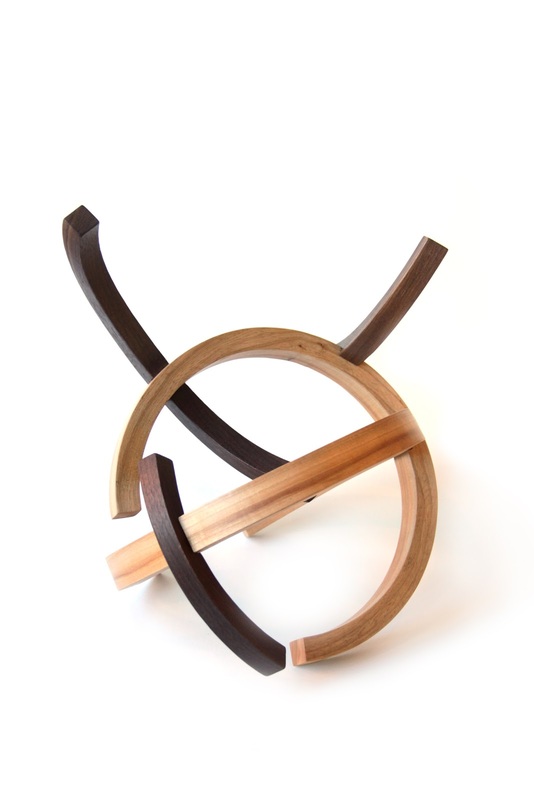 It's center of balance allows it to stand in different ways which makes it very exciting. The parallel to life is the idea that an individual is a culmination of different experiences and phases of life. The negative and positive energies that wash in and wash out like the tide shape life and create harmony to the ones who seek it.